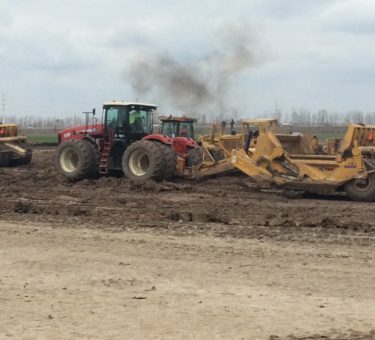 Soil Stabilization | Kuesel Excavating Co. 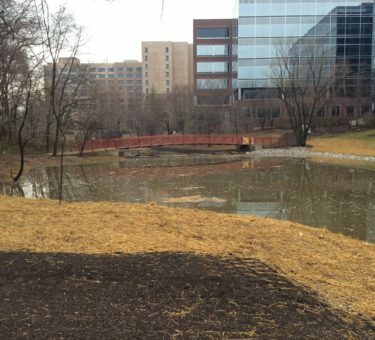 When beginning construction on a soil stabilization project, it’s not uncommon to find the less than ideal soil quality. Soil stabilization helps to enhance the physical properties of soil, contributing to its shear strength and helping control shrinking and swelling properties. 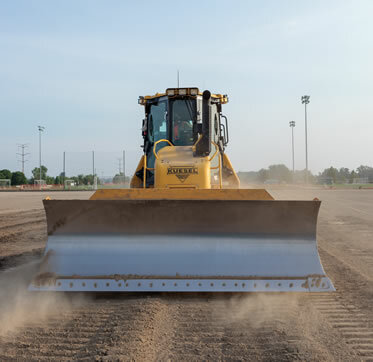 Stabilizing soil improves the subgrade’s capability to endure heavy loads. Without it, structures and surrounding features can potentially experience problems such as pavement failure and foundation settlement. Each qualified soil stabilization crew member benefits from years of training and experience and possesses the specific chemical knowledge to create an ideal product. 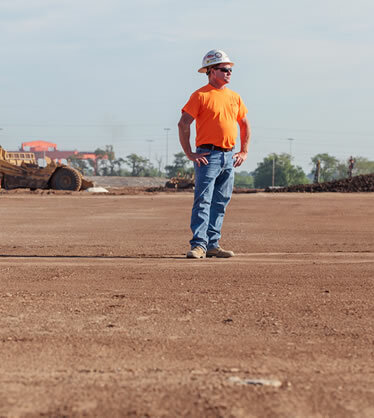 For over 60 years, the experienced and impressively large staff of operating engineers, laborers, project managers and field supervisors has contributed to Kuesel’s excellent reputation for providing high-quality soil stabilization services, great customer service and reliable industry expertise. Kuesel utilizes Agtek 4D takeoff software on nearly all of its projects today, granting the capabilities to tackle large projects while continuing to maintain the smaller ones. This technology conveniently eliminates the client’s need for a third party engineer to help improve turnaround, accuracy and budget spend. This technology enhances soil stabilization project efficiency, improves accuracy and prevents increased budget spend through the use of manual robotics such as rover systems, laser level visual control & company-wide machine control. Kuesel incorporates the use of dustless spreader trucks and water trucks to not only distribute the product with improved accuracy but also to help control and prevent potentially harmful dust inhalation and keep job sites cleaner. Soil stabilization crews utilize the Cat RM300, designed to ensure depth control, proper sizing and thorough blending of reclaimed materials for maximized productivity. The Wirtgen 240i, recently born into a new generation of soil stabilizers, contributes to Kuesel’s impressive ability to efficiently and economically stabilize soils. 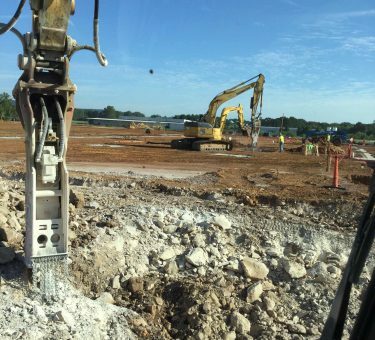 Kuesel employs tech-savvy soil stabilization engineers and technicians to perform accurate take-offs from customer supplied information. Our capabilities include paperless downloading take-offs and generation of estimates. 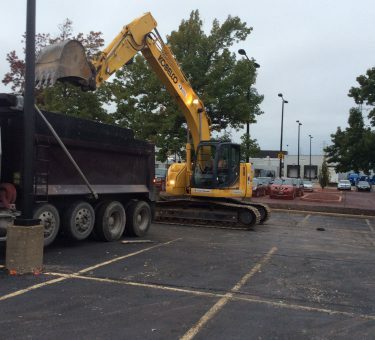 Contact Sean Strader for more information or questions about our estimating process and turnaround.